An inside look at why Amish businesses are thriving. Only half of newly-opened American companies are still around after five years. But if the business is Amish, the success rate is ninety-five percent. Even more notable is that Amish businesses are surviving—and thriving—in spite of cultural isolation and self-imposed restrictions on the use of technology—including cars, trucks, phones, credit cards, computers, and electricity. It’s not as if the horse-and-buggy crowd has been limiting itself to traditional Amish businesses, either. In recent years, communities in states like Pennsylvania, Ohio, and Indiana have been diversifying their business interests, extending the Amish “brand” into industries like furniture, construction, clothing, and home remodeling—in some cases establishing multi-million dollar operations that contract with the likes of Kmart and Ralph Lauren. This begs the question: What can modern American business owners learn from the relatively uncomplicated ways of the Amish? Erik Wesner—a widely recognized independent expert on the Amish who established close ties with various communities during his decade-long stint as a sales manager and book salesman for Southwestern Company—set out to answer that question by taking a close look at what the Amish do differently. In his new book “Success Made Simple” (Jossey-Bass), he relates the experiences of dozens of Amish business owners, and reveals how they lead their organizations to lasting success. Wesner was gracious enough to answer my questions about the Industrial Revolution taking place in Amish Country, and the lessons we can learn from Amish ways of doing business. The Amish are typically portrayed as standoffish and world-wary people. How close is that stereotype to reality? There is some truth to the idea that Amish are reluctant to engage the world. They traditionally view themselves as a people “in the world, but not of the world.” But as Amish have moved more and more into business, the social distance with non-Amish has lessened. Today many Amish count “English” people as business partners, neighbors, and friends. Amish and English cooperate on numerous levels, from organizing charity events to tackling highway safety issues. Also, the answer to this question depends on the community. It’s helpful to remember that there is much diversity within horse-and-buggy Old Order Amish society. Though all Amish share common beliefs (such as adult baptism and the principle of non-resistance), there are meaningful differences between Amish affiliations, from how they approach technology to style of dress and orientation to the non-Amish world. What types of businesses do Amish typically pursue? The Amish approach to education, agricultural heritage, and religious beliefs funnel entrepreneurial energy into a specific range of businesses. Amish finish schooling at grade eight, and this limits the types of businesses they can pursue. Also, cultural and religious values prevent them from entering certain industries, such as those dealing with technology or those considered morally objectionable. Amish typically focus on craftsmanship-oriented and labor-intensive businesses, such as furniture making, carpentry, and manufacturing. Furniture making has grown into a large nationwide industry, supported by networks of non-Amish retailers and online outlets. Amish builders construct and remodel homes in upscale neighborhoods near urban centers in the Midwest and on the East Coast. And Amish women operate quilt businesses and produce stands. Some Amish businesses cater to the tourist industry. 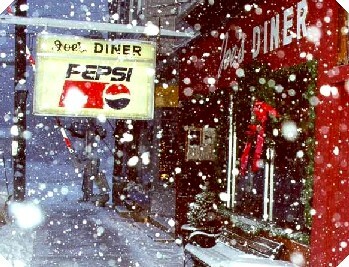 Others primarily serve the Amish and Plain market, such as buggy shops or Plain clothing retailers. Why have they moved away from farming? The shift into business has been driven by a couple of factors, including a fast-growing population and increasing land prices. Amish average five to eight children, depending on the community. The vast majority, 85 to 90 percent in some cases, choose to become Amish. This demographic increase coupled with growth in non-Amish populations in Amish-settled areas such as Lancaster County [Pennsylvania], has put pressure on land prices and made it more difficult for Amish to provide farms for their children. Business has emerged as an alternative to farming. A small business requires less land, less capital, and in many cases can be operated from home, replicating the at-home dynamic of the family farm. Amish still regard farming as an esteemed occupation, but in the larger settlements in particular, farmers are now in the minority. What are some of the unique challenges Amish business owners face? There are several. Amish business owners deal with a degree of cultural isolation, which can hinder marketing efforts. Technological restrictions impact Amish businesses as well. As Amish are off the public electricity grid, they have had to develop hydraulic and pneumatic systems to power a variety of shop equipment. Technology limitations can also hamper communication. Some Amish have a set time when they receive calls at a common phone shared within the community. Others rely on voice mail service. Some Amish use cell phones, others have fax machines, and some may even have email accounts, though that is not the norm. The lack of quick communication can frustrate patrons and impair business effectiveness. Some Amish have hired outside help to manage a Web presence and sell products online. Tell me about their cultural aversion to lawsuits and the impact this can have on their businesses. Amish believe in non-resistance, seen in Jesus’ admonition in the Sermon on the Mount to “turn the other cheek.” Traditionally this means opposition to military service but also extends to law enforcement and even holding political office, as these are seen as positions from which one uses force to impose your will on others. Their opposition to lawsuits is rooted in the belief of non-resistance. Litigation is seen as a coercive means. Suing to recoup financial losses is grounds for excommunication from the Amish church. There have been recent instances when Amish were taken advantage of and suffered significant financial losses. Individual Amish have attempted to sue but dropped their suits under pressure from the community. Occasionally Amish will involve themselves in suits where religious issues are at stake, like the landmark Supreme Court case of Wisconsin v. Yoder, which allowed Amish to limit schooling to eight grades. There have been instances in recent years of suits over cattle tags and building ordinances, where certain Amish groups felt their religious rights were being infringed upon. In the business realm, it can be a bit of an Achilles heel. Researching my book, I ran into a number of Amish businesses that had not been paid by dealers, resulting in thousands of dollars in losses. They typically have limited means to recoup money. An Amish person may hire a lawyer to draft a letter, but that is usually where legal involvement ends. So unscrupulous outsiders may take advantage of Amish this way, and some have. Amish, on the other hand, tend to get the word out to others in the community quickly if there is an individual passing bad checks, for instance. Word gets around and if you treat people well, others will learn about it quickly in Amish communities. The opposite is true as well. Is marketing a challenge for Amish businesses? Keeping up with trends wouldn’t seem to be their strong suit? Marketing can be challenging, which is why Amish may hire outsiders for help. One Amish man pointed out to me that they don’t watch television, and don’t keep up with fads. So it can be a bit hard to know what would intuitively appeal to a non-Amish person. Also, the Internet continues to be a hurdle. I recently spoke with an Amish builder who shared concerns over missing out on business as he lacked an online presence. This is a present concern for Amish in certain industries, and some are getting themselves online by various means, often through third parties. What unique advantages do Amish business owners have? The Amish “brand” and their reputation for honesty would seem to be advantageous, for instance. The Amish “brand” is definitely an advantage which each Amish person enjoys just by being a member of the community. The “Amish” tag suggests a host of positive qualities including “high-quality,” “handmade,” and “all-natural.” Amish themselves enjoy a strong reputation as reliable, trustworthy, and hardworking. Interestingly, however, Amish values of humility prevent them from trumpeting the “Amish” label. Many object on grounds that it is using their religion to sell. Others may be more comfortable with it, viewing it as a cultural label and Christianity as the religion. Typically, most Amish abstain from using it on products they sell. However, third parties that deal in Amish products have little problem doing so. Also, Amish tend to run lower-overhead businesses. One reason is that there is less of a cultural expectation to deck a business out in frills such as air conditioning and plush offices. Amish businesses are typically operated at home, often in a shed or old building converted for the purpose. Amish tend to be efficient in how they use resources. An aversion to waste is built-in to the Amish mentality. Another advantage are the community networks and support. Amish businesses operate individually, but Amish share communal values. Amish may cooperate on a number of levels, from sharing business to combining orders for bulk discounts. Knowledge is shared, and having a pre-existing relationship with many individuals in your community can streamline the hiring process. Shared religious and cultural values make the employee/employer relationship work better. Amish also benefit from the strong work ethic in their communities. Finally, Amish have received favorable treatment from the government. Amish do not believe in participating in formal insurance programs, and are exempt from paying Social Security and workman’s compensation (in some states), both of which they view as insurance programs. At the same time, this is less of an advantage than most think. For example, Amish do pay Social Security for unbaptized employees and non-Amish employees, neither of who are exempt. Amish employers also typically take on the financial obligation for their employees’ care when ill or hurt. Do Amish buy health insurance? [No], Amish take care of their elderly and infirm as a community, and share financial burdens from medical bills. Business owners are often the ones who are in the position to contribute most, and are expected to help out financially. Additionally, Amish pay cash for hospital bills. An Amish man related to me the story of a friend who fell and hit his head on the way home from work. The ambulance ride and hospital tests cost fourteen-thousand dollars. So in some ways, simply paying a set amount each month in workman’s comp or other insurance may actually be a more favorable situation, as opposed to dealing with the uncertainty of sizeable medical bills. But besides some limited community-administered programs, Amish generally abstain from participating in insurance programs. What constitutes business success for the Amish? Amish are family-oriented, so for some, Amish success in business simply means running a firm that allows one to work with the family, and to pass on values and skills to children while earning enough to put food on the table. Others are motivated by providing for others, whether in the form of employment or in contributing money and resources to the less fortunate. Some Amish thrive on the idea of mentoring others, helping those that may have faced challenges to grow personally and professionally. The idea of heritage and “passing something on” resonates as well. One Amish owner of a large manufacturing firm defined success as creating something of value that the next generation wants to (and is able to) take on. This idea may have roots in the long agricultural heritage, where farms have been passed down from generation to generation. Of course, there is also the importance of financial success. To achieve all of the above, there must be a degree of financial prosperity. Some Amish are more ambitious and aggressive than others. Some are motivated to grow their income and set financial goals. Others are content with making enough to get by. Nonetheless, Amish have seen a high degree of financial success. Multi-million dollar firms are not uncommon, and there has been an influx of wealth into Amish society over the past decades. Some Amish are concerned how this will affect traditionally egalitarian Amish society in the long run. What lessons can we draw from Amish ways of doing business? There are numerous lessons, and certain habits and mentalities that Amish exhibit which can be applied in a non-Amish context. One is their family-oriented approach to employees. They try to replicate a family environment at work. The idea of humble leadership is another good example. Amish frequently express the idea that “I’d never ask an employee to do something that I wouldn’t be willing to do.” Amish bosses are often involved in the work in a hands-on way, rather than simply delivering orders from a remote office. This orientation has something to do with the productivity and longevity Amish bosses get out of their employees. A third idea would be the approach to growth. Viewing employees as family, rather than a disposable input, tends to make you approach decisions more cautiously. A side benefit has been a very low rate of failure among Amish businesses. In light of the numerous high-profile business failures, not to mention recent “bubbles” driven by greed, a measured approach to growth may be wise. 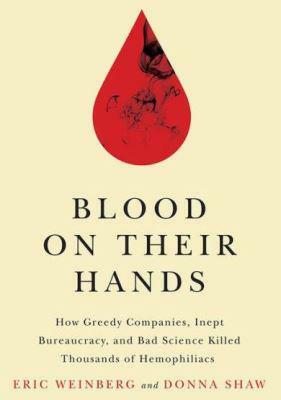 Blood on Their Hands—How Greedy Companies, Inept Bureaucracy, and Bad Science Killed Thousands of Hemophiliacs. The Illusions of Entrepreneurship—The odds are against you: Why entrepreneurs are unlikely to succeed. The Drive-in Movie Theater—The drive-in reaches a crossroads.